Keeping your tank or the pond free from algae is important, isn’t it? It should be not only clean but also look attractive. And this gives rise to the most frequently asked question, do goldfish eat algae? Adding fish to the tank or pond to get rid of algae is considered to be the best way of keeping it clean. Because what algae do is ruin the physical appearance and produce an unpleasant odor. And nobody likes to live around that now, do we? Unless you’re an algae-eating fish! So do Goldfish Eat Algae? Let’s Find Out! Is it Good for the Goldfish to Eat Algae? Is it Safe to Add Other Algae-Eating Fish to the Tank Along with Goldfish? The answer is an astounding YES! 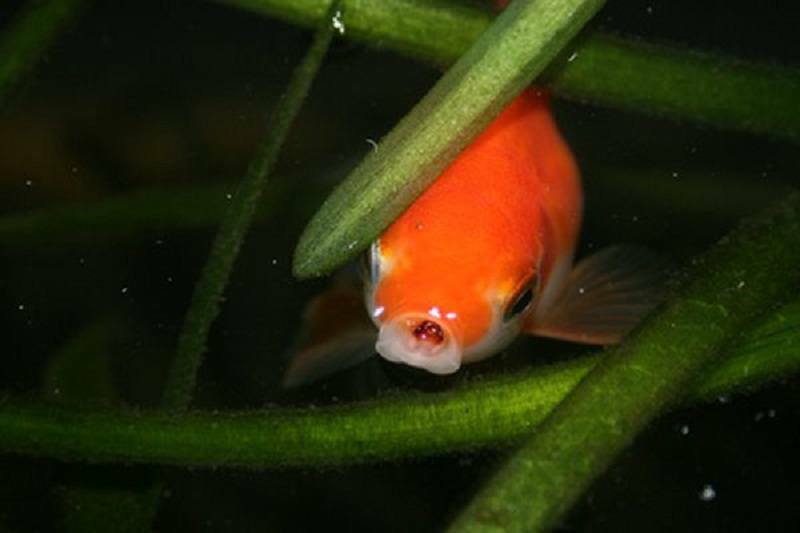 Goldfish are one of the many fish that people use to eliminate algae from a pond or tank. The thing about goldfish is that they are omnivores. What you probably don’t know is that goldfish don’t have a stomach like we do. And do you know what this means? It means that there’s nothing inside to get full. So they keep eating as much as they like. So do goldfish eat algae? Yes, they surely do and lots of it at that. Anywhere you find algae; there will be a goldfish working on it. This includes the corners of the tank, the plants and decorations in the tank, and at the bottom of the thing as well. Now that you finally know the answer, it leads us to another commonly asked question. Do I need to clean the tank if I have goldfish in it? So you might be pretty excited to find out that since you have goldfish in your tank, you don’t need to clean it. But let me stop you right there!Because that’s not the case.Algae is something that grows back at a quick rate. Even more so if your tank contains plenty of light. While it’s true that goldfish eat algae, they are not responsible for cleaning the tank. That is your job. They may not be able to eliminate each and every inch of dirt found in your tank. And if you’re so worried about the cleanliness of the tank, then it’s better to remove the remaining algae on your own. But you should also know that a few algae in the tank help in keeping chemicals in check. These include nitrate, nitrite, and ammonia. The answer that I’m going to give you is neither here nor there. What I mean to say is that algae are neither nutritious nor harmful to goldfish. So the best thing to do here is to balance it out. 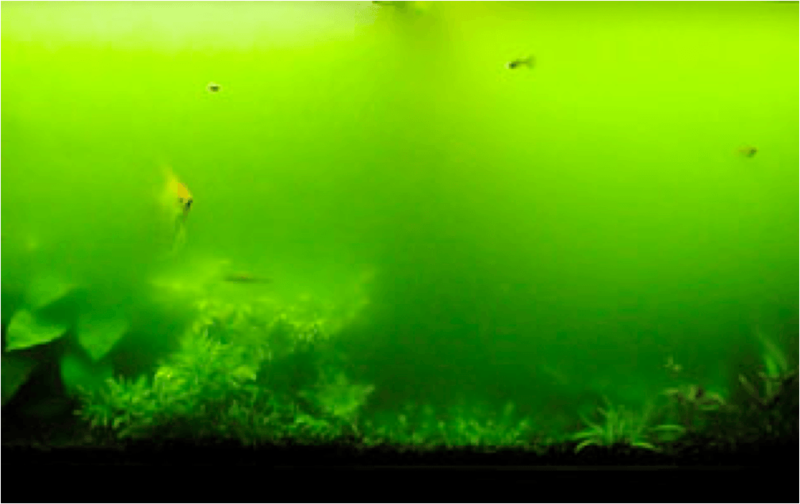 Don’t let the algae growth of your tank spin out of control. 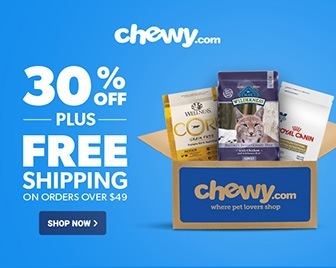 Because if that happens, your goldfish will be eating only algae all day every day.And feeding goldfish their proper food is also important, so please keep that in mind as well. Now that’s a good question. And I’m glad I asked it, even gladder that I’m going to answer it. 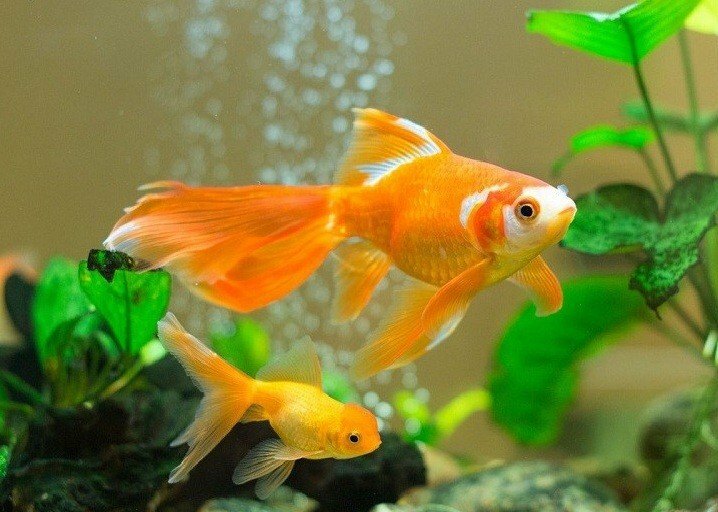 It’s not safe for you to house other algae eliminating fish in your goldfish tank. “Suckerfish” like the plecos tend to stick to the sides and move along it. And when they come in contact with goldfish, they latch onto them. This causes damage to the slime coating and scales of the goldfish. And most importantly, why would you want more algae-eating fish in your tank? Aren’t goldfish enough? I mean how dirty is your tank! Keeping the tank sufficiently lit, cleaning it regularly, and adding goldfish to get rid of algae are enough to prevent the algae growth from bombarding. Anything more is unnecessary, so it’s best not to indulge in that. Those of you who want to know what else goldfish eat, please keep reading. I decided to include this useful piece of information as a part of an additional section. As a responsible and loving pet fish owner, you need to know and follow this. Feeding your fish the wrong kind or amount of food might cause severe damage to its health. The most obvious choice is goldfish food from any local pet shop. But that’s not it. You can always add other foods to the daily diet of your fish. Before you do that, just remember that overfeeding them is not only a bad but also an unhealthy and harmful idea. In wild atmospheres, goldfish enjoy eating insects, plants, crustaceans, and even smaller fish. Now, this is something that you can’t feed a goldfish in a tank, but you can come close to it. 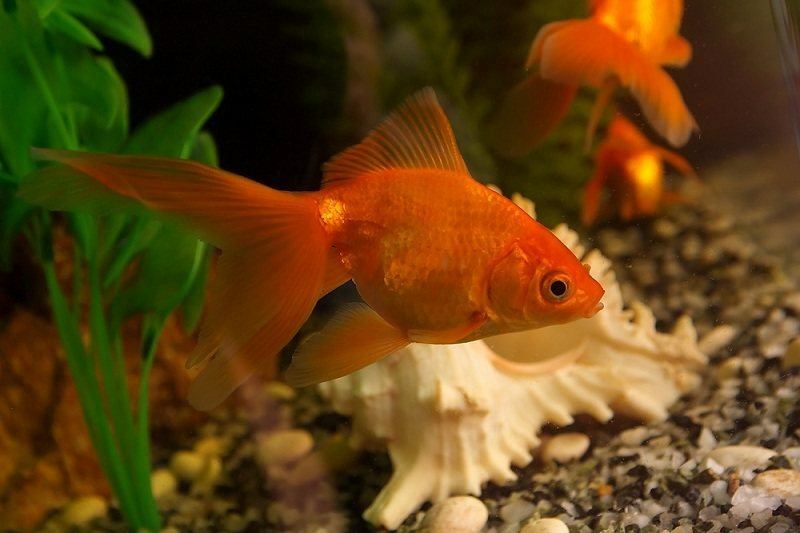 Goldfish-specific foods like pellets and flakes are an excellent add-on to their daily diet. Goldfish also consume brine shrimp, bloodworms, boiled veggies, and peas. So do goldfish eat algae and is it right for them? Yes, they do consume algae wherever they find it. And it’s neither good nor bad for their health. But it’s advisable to keep the consumption in check so you can feed the goldfish their proper food as well. Keeping the tank clean is important. But that doesn’t mean stuffing it with different types of algae eliminating fish. You will have to make it a point to clean the tank with your hands once in a while. It’s just good sense, isn’t it? So tell me, how often do you clean your tank with goldfish in it? I hope you liked the content that you just read. Most importantly, I hope that my answers were precise and elaborate to remove any doubts or confusion about goldfish and algae. Please let me know if I went wrong with anything here. You can leave your comments in the section below. How Many Guppies In A 10-gallon Tank Can You Keep? This was great! And I do so appreciate your sense of humor.